I was so excited to be using one of these images as i have not coloured one up before. I can now truly say it won't be my last of The East Wind Images i colour either as there is some amazing images in the Store. The Theme is "No Cards"
I was really unsure what to make for this Challenge with the Theme being No Cards. After some thinking I decided to do something i have never done before and that was make a Large Tag. 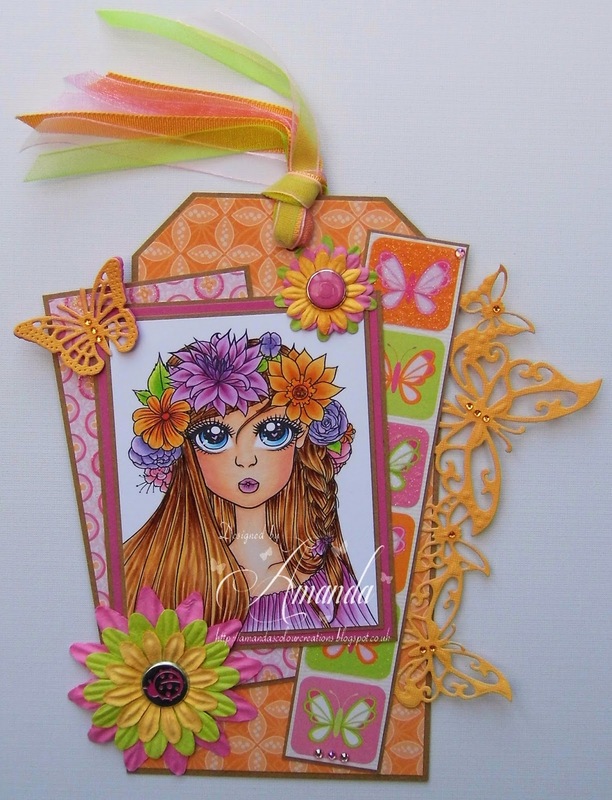 Pop Over to Digi Galore Blog & see what the rest of the DT ladies have for you. Vielen Dank für die Teilnahme an der SsC. Wowww!!! Was für ein wunderschönes TAG!! Love it - great colours. Fabulous coloring! Love the orange you chose! Thanks for joining us this week at Creative Fingers! Redonkadoodles - Digital Stamps, Scrapbook Papers, Handmade Cards, Gifts and more!